We have a Grand Trine in Earth signs on August 25th 2018. Sun in Virgo – Saturn in Capricorn – Uranus in Taurus. 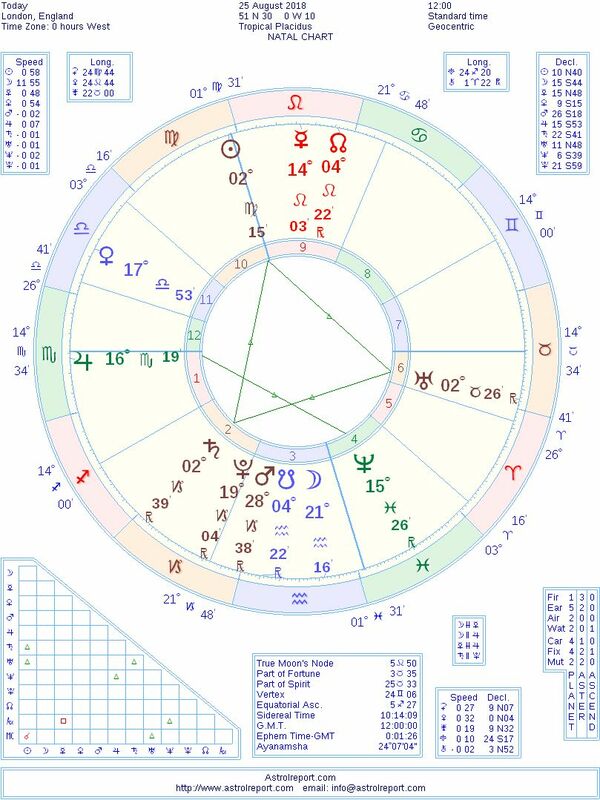 From 21:43 GMT on the 24th August, the three bodies are in Grand Trine within 1 degree of orb, with the Sun at 01Vir40, Saturn at 02Cap40 Retrograde, and Uranus at 02Tau26 also Retrograde. The configuration ends at 17:07 on the 26th August when the Sun reaches 03Vir26. 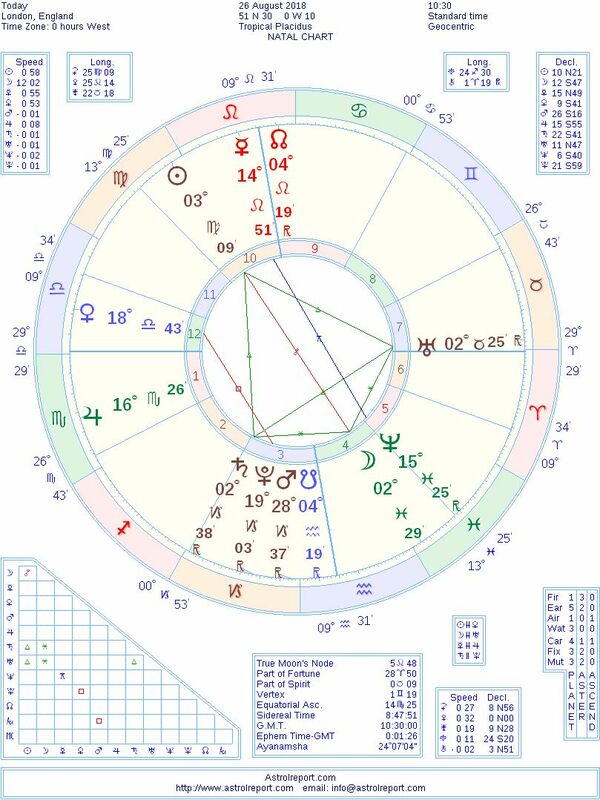 During the Grand Trine, the Moon joins in for a few hours on the 26th forming a Kite configuration with the Moon in Pisces; the peak being at around 10:30am.